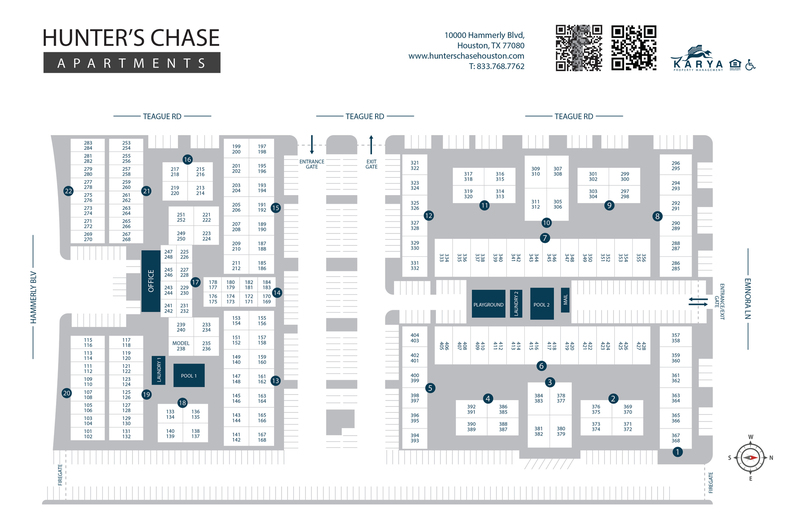 cats are OK - purrr dogs are OK - wooof apartment Welcome to Hunter's Chase Apartments, located in the heart of Spring Branch!!!! We've designed our apartments to exceed your needs with attractive amenities to enhance your lifestyle with in our community: * 1,2,3 bedrooms available and with option to upgrade * Swimming pools * Full Laundry facilities * W/D hook ups in specific units 2x2B and 3x2 * Spacious Floor plan * Texas size closet * Ceiling fans * Ceramic tile * Controlled access * Courtesy evening officer * Patio/Balconies * On-site maintenance * Granite in upgraded units * Back splash upgraded units * New black appliances upgraded units * Pet friendly Come and tour our community, we have a great move in special on one bedrooms $399 1st month rent. Application fee is $75.00 - Administration fee $75.00 WAIVE IF YOU QULAIFY! Call us for more details and availability .hablamos espanol open M-F 8:30 a.m.- 5:30 p.m. Saturdays - 10:00 a.m. - 5:00 p.m.